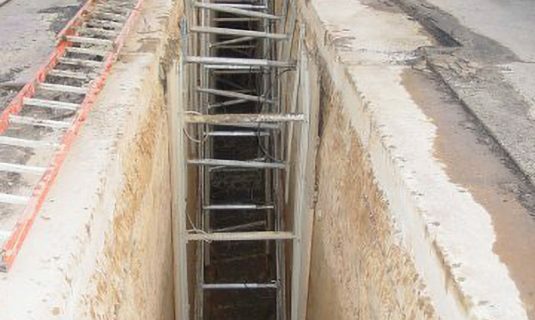 Hydraulic vertical shores or "trench jacks" offer a quick, safe, cheap, and efficient method of trench shoring in relatively stable soil conditions. The J.M. 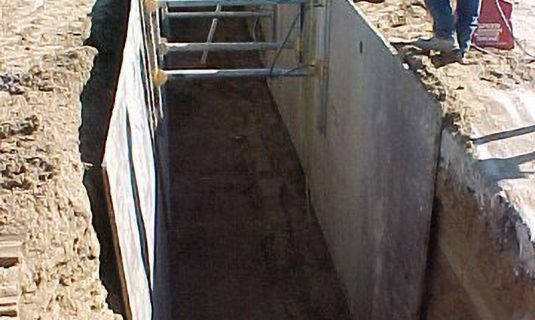 Turner Engineering staff have provided thousands of hydraulic shoring plans and have developed a comprehensive understanding of hydraulic shoring design and installation.